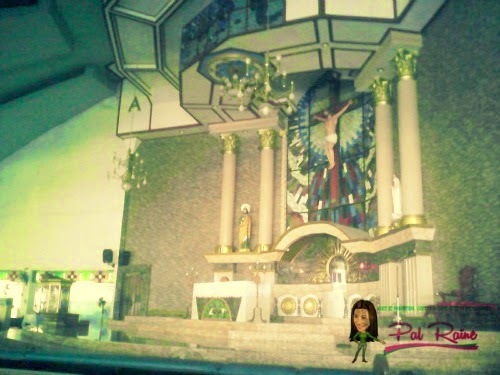 An unplanned activity yesterday(April 2), when my father decides to have Visita Iglesia in different churches. When was the last time we do it together with my parents? I can't remember already, it's been too long. When I renew my faith and become born again, I was busy with my church activities, I haven't had the chance to join my parents again. Still I respect their beliefs and practices from old church doctrines. I did not block them just because of their RELIGION, I look at people from other faiths as people and not as categories or religions. HOLY WEEK IN THE PHILIPPINES is very unique and at the same time well organized by the whole Christian-Catholic community. Traditionally, Catholics are well reserve this day and have all the sacrifices to be followed by going to church, while modern Catholics are just relaxing, taking advantage of the long vacation they have by going to the beach or staycation by having a movie marathon at home. 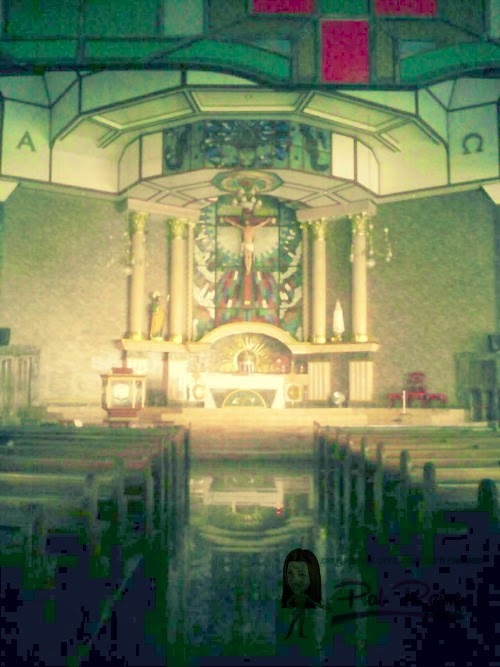 I decided to follow my father and observe how practicing Catholic do during Lenten Season. 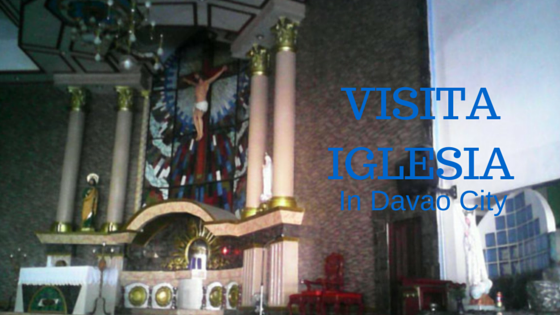 VISITA IGLESIA is an old religious tradition that most of the CATHOLICS followed during Holy Week. This is where they visit FIVE or SEVEN churches usually on Maundy Thursday. This is where we recite the 14 STATIONS OF THE CROSS. For some others, they visit 14 churches for 14 stations each, but for some others they prefer 5 or 7 churches to visit or for those who have no means in transferring churches they prefer to stay in one church. San Pedro Cathedral is the oldest Church in Davao City and a premier historical landmark too. This is the center of the Archidioecesis Davaensis (Archdiocese of Davao), the set of the Archbishop. The interior design is modernly designed with stained glass images of biblical scene, as well the altar reflect the old design of San Pedro Parish way back 1901. My last visit here happened last month, during my youngest daughter BACCALAUREATE MASS for their graduation. This church is famous for devotee students and professionals who are praying for a positive result from an exam or having an upcoming exam, asking for guidance and enlightenment, most of them are board exam takers. Jude or Thaddeus, was a brother of James the Less and relative of Jesus. He is one of the 12 Apostles of Jesus. Called as the patron saints of desperate, hopeless and lost causes. 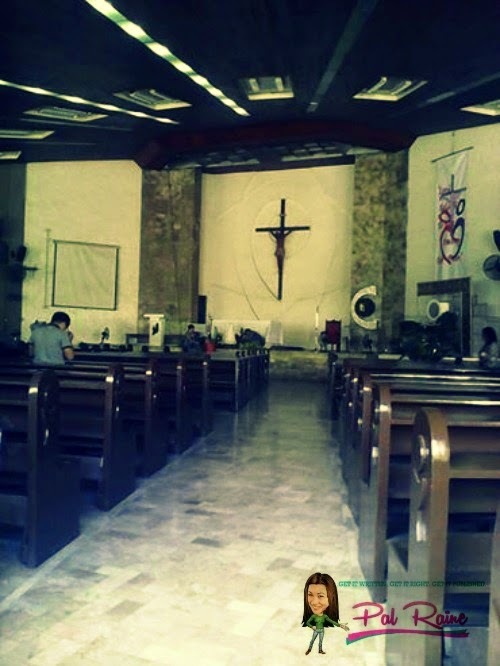 Church was founded in 1965 under the vicariate of San Pedro. 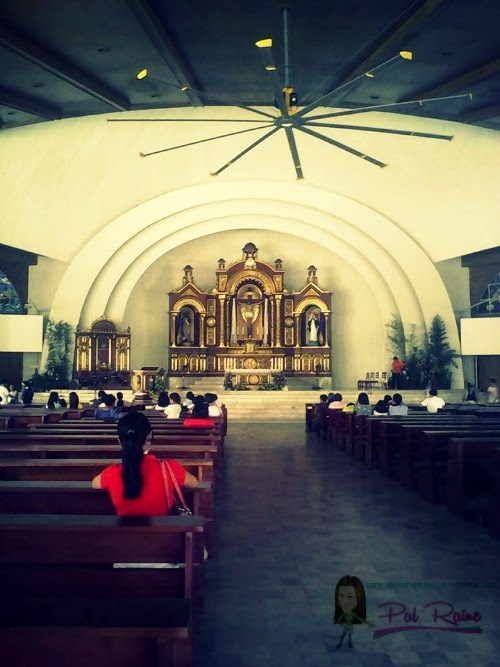 One of a fully airconditioned churches here in Davao. My last visit here is when my friend parents have their wedding vow renewal that was 3 years ago. According to Catholic Church, the Assumption means is the bodily taking up of Virgin Mary into heaven this happened at the end of her earthly life. Virgin Mary was taken up into heaven while still alive, bodily and soul. 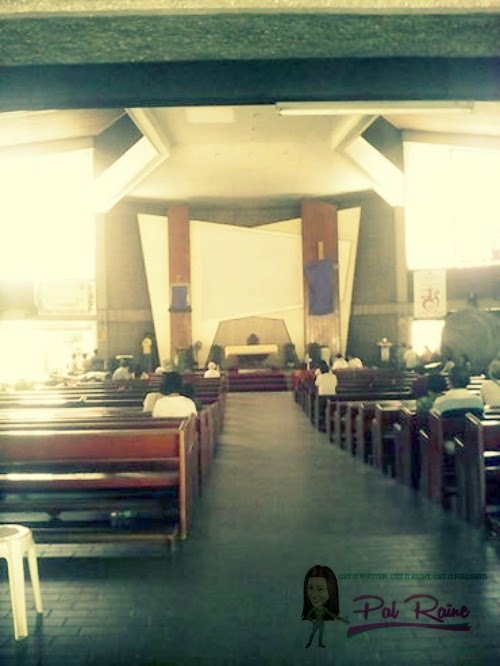 The church is founded in 1959 still under the vicariate of San Pedro. though there are changes in their interior, still the place looks solemn to me. My last visit here is when my mother stayed at the CURSILLO HOUSE just beside Assumption Parish way back 80s. 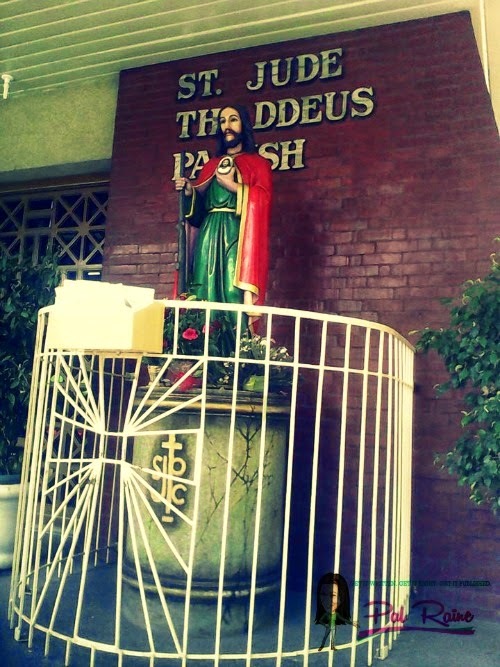 Redemptorist Church is formerly known as the Mother of Perpetual Help Parish founded in 1972. The church is HOME to good people who are lending help and caring homeless people. Under the Vicariate of San Pedro. Our Lady of Fatima was founded in 1952, under the vicariate of St. Anne or Sta. Ana Parish. One of the most memorable place of my life. How can I forget this place, my parents serve in this church for a long time as a Marriage Facilitator Counselor. This is where I was baptized and have my confirmation. And I served as a Catechist and a choir at the same time. But when we transfer house in 1996, both my parents and I stop serving the church for good, but still when I got married, I chose Fatima Parish for my wedding ceremony and my eldest daughter was baptized here too. We haven't visited the place for so many years and for the first time, we were amazed to see it again. So overwhelmed with the new things I see inside, from the interior design of the altar, the ceiling, the door in the middle door fronting the altar, and etc..everything was new to me. So these are the five churches we've visited. You can visit this place if you need spiritual guidance or just want to experience and see the marvel architectural design these churches have. Here in Davao City, Philippines the most dominant group is Roman Catholic at 83.83%, Christian groups comprise to 15% only and others belong to remaining 1.17% for non-Christian like Islam, Buddhism, etc. All are significant churches to us and worth visiting. Whether you are a non-Catholic believer, you can still take time to reflect while visiting these churches. As I said, I respect my parents belief and I don't have problems about that as long as there is unity and peace in our home. For us we avoid to talk about religion. All religion are equal. If you cannot respect religion then know that its followers are human it hurts when someone criticize your beliefs and religions etc..so set an example. For now, my two girls are still young to know all of these things but as they grow up I know they will understand. To have a story like these who gone through a lot, it is a painful process -- emotionally and physically. But I can say that, for me at least, the rewards of my journey have been more than worth it. I have never been to any of the churches you've visited this month, definitely gives me a feeling of nostalgia. Thinking back to the time when I myself was still Catholic. All we can do is live peaceably with all men and pray to God. Let His will be done. Yeah, so that we will live with peace and harmony with our Lord and Savior. Amen to that. It seems that Davao has modern design churches only? Are there also Spanish era churches there. Interesting when you mentioned the word Cursillo. I have not heard that word since I was an elementary kid when my uncle joined it. Fred some are Spanish Era churches but they already change the interior design to modern. Cherish your time with family. Beautiful churches. We don't do Visita Iglesia, but there's one family tradition that we all observe until now - everyone should be at home during Holy Week. It follows that everyone has to lay-low with their activities ( no vacations, no loud music, etc ) because our elders would always tell us, "Patay ang Diyos." We still fast and we abstain from eating meat. I also heard that with my Grandparents when they are still alive. No music, no laughing...hahahaha..and no taking a bath. Visiting such places when you are overseas is a very peaceful and eye-widening thing. I like visiting religious places because I could almost feel the love. Same here Tiffany. No matter what your beliefs, it's important to learn to respect other people. Wow i didn't know that in philipines there are so much roman catholics and christian. I thought that in Asia most people believe in Islam, budhism etc. 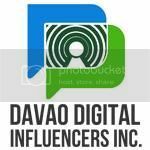 Does this happen only in Davao? The Philippines is the fifth largest Christian country on earth, with about 85% of the population being adherents. It is also one of two predominantly Roman Catholic nations in Asia (the other being East Timor), and is the third largest Catholic country in the world. The Holy Week observation happened all over the Philippines. I loved reading your article though I don't follow this religion but it is always good to know about every religion. Very nice ! We're not catholic so we don't do the Visita Iglesia, although it would be nice to visit the Catholic churches because of the structure and history behind each one. I may not do the activity but I know how to appreciate the beauty old churches has to offer. Wow the church looks so beautiful. I remember when I was studying in a convent missionary school, we used to visit the church and celebrate all christian festival even though I am a Muslim. It is always fun to celebrate the each others' festival with fun, harmony and joy. Some beautiful traditions there. It is always good to learn about faith and traditions of different countries...Also compliments to you to respect the faith of people around you. It's nice that you were able to visit beautiful churches for your visita iglesias. It's a really nice tradition to keep. I have heard that Filipino people are very religious and they celebrate Easter a lot, paying their tribute to the sacrifice of our savior, Jesus Christ. I often go to church myself to get spiritual comfort and help. I like this tradition of visiting different churches to do the stations of the cross. It must keep things fresh and help one gain more understanding of why we do these rituals. I love the stations of the cross. We're not Catholic but I do love reading about how others celebrate their traditions. Everything is done differently but it's the difference that makes us alike, if you know what I mean. I am not a Christian nor a Catholic, I have only been visiting two to three churches before which are the tourist attractions.